A graduate of Music from El Camino College and a current Music Education student at CSU Long Beach. He is fluent in both English and Spanish and has over 3 years of experience teaching private students in piano, percussion, and guitar. He also has experience working successfully with students with learning disabilities. 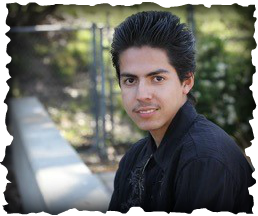 Ivan has extensive experience performing in ensembles such as the Concert Band, Symphony Orchestra, Percussion Ensemble, and Concert Choir of El Camino College. His primary instrument is piano, however, he has worked on learning percussion, violin, cello, guitar, and clarinet, among other instruments. Mr. Alcantar is passionate about music in all its aspects and styles and enjoys teaching his students different styles, depending on what they would like to learn.